Wimbledon fortnight wasn't just raining cats and dogs but spam, too. According to security vendor Symantec , spam emails with the subject 'Federer and Henin top Wimbledon seeding' were used to get at the inboxes of tennis fans during the tournament. The findings were shown up in the July edition of Symantec's 'The State of Spam' report . The report revealed that the placing of pop and sports star names in email subject lines is an increasingly-used spammer tactic. Of course, the subject of the spam emails in question aren't anything out of the ordinary; they offer the sale of Viagra and other drugs. 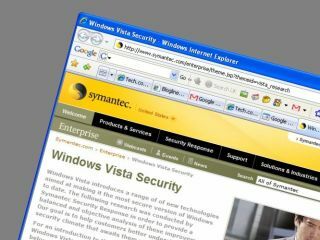 Of all the emails filtered by Symantec's security tools over the last month, 26 per cent could be classified as 'product' spam, advertising products and services. This was followed by 'financial' spam, relating to money or the stock market, with a further 6 per cent that can be classified as 'scams'. More from Symantec's Security Response guys.